No issues detected. Our APIs are online and data is up-to-date! Need help, got feedback or want to do a suggestion? We're always lurking around in the Crown Mattermost and Crown Telegram channels. Urgent issue/question? 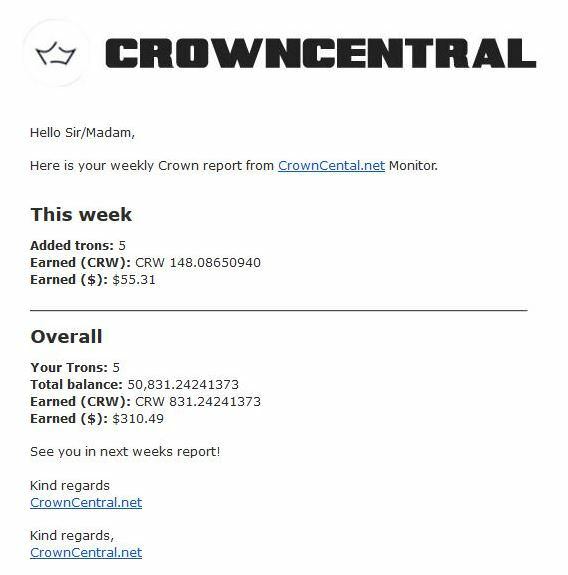 Send an email directly to monitor@crowncentral.net. With love & gratitude we appreciate your kindness and support! History page now shows Superblocks with corresponding proposals. Added dollar value to earnings in daily earnings graph. 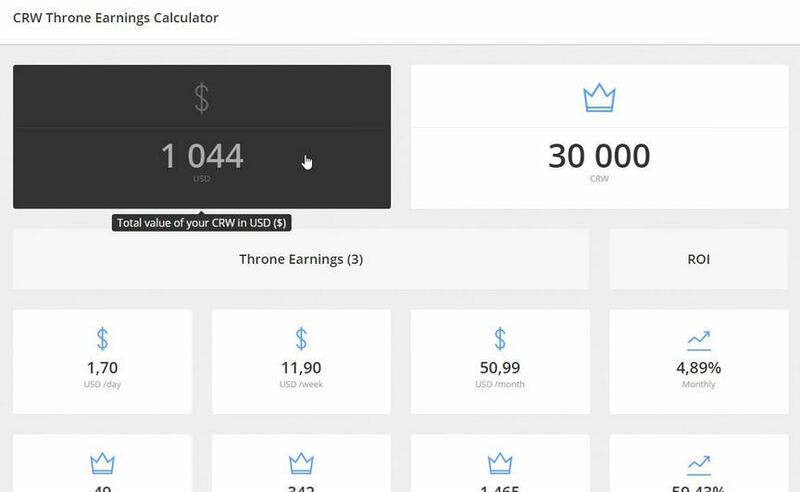 Refactored calculation scripts to be more accurate (thanks crownfan). You now receive a notification email when a node is offline. Fixed various other small bugs. 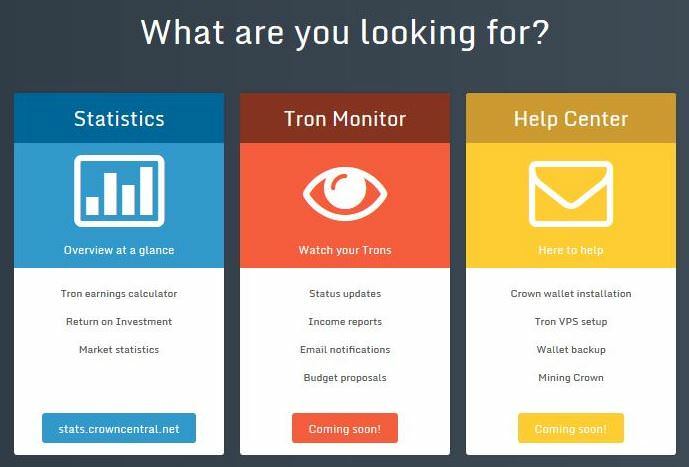 Added weekly Tron income/earnings email report. Improved API status: warnings are now API-specific. Added landing page displaying all services. Help page - Help center containing guides/tutorials for Crown/Trons. 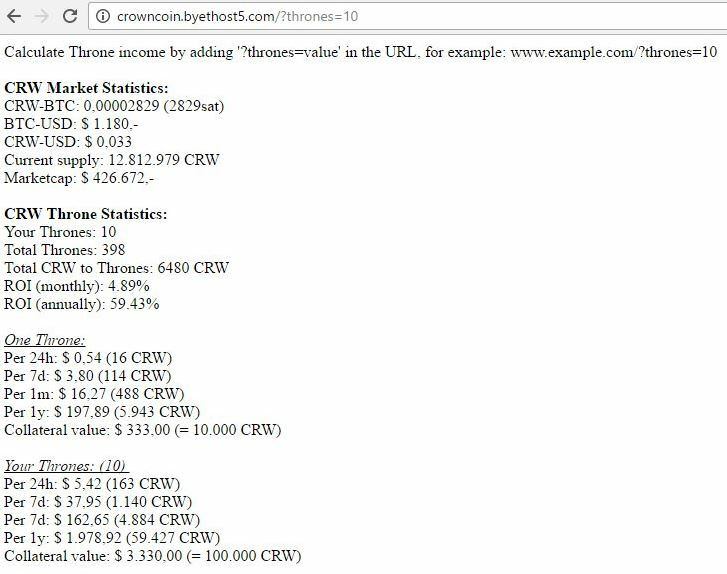 Change amount of thrones in the URL to update calculations. In order to get full access to all features of CrownCentral, please login with your account.